Leonardo Garcia Alarcòn, harpsichord, was born in 1976. Leonardo Garcia began playing the piano at the age of six in his native town La Plata (Argentina). When was 15, he joined the ensemble Toccata Instrumentale, performing with historical instruments. This way, he got familiar with the practice of basso continuo on organ and other keyboards. He continued his study of the piano in Susan Romé’s classes, and studied orchestral direction at the National University of La Plata. After having taken part in a master class for keyboard with Jacques Ogg (Amsterdam) at the Catholic University of Buenos Aires, he decided to complete his studies in Europe. In 1997 he stared at the conservatory of Geneva, obtaining his diploma keyboard in June 2000 in Christiane Jaccottet’s classes. At the Centre Musique Ancienne de Genève he distinguished himself during his studies basso continuo (Pierre-Alain Clerc) and counterpoint (Jean-Yves Haymoz). At the same time he started his study of the organ with Marinette Extermans and followed master courses with e.g. Bob van Asperen, Jos van Immerseel, Reinhardt Gebel, Olivier Beaumont and Barthold Kuijken. Fascinated by baroque music, he regularly performs as a soloist but he is also active in several ensembles for old music, with which he has also recorded several CDs. 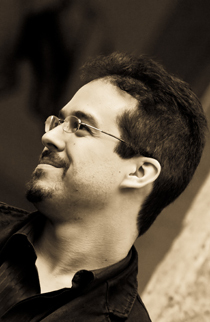 Leonardo Garcia is a member of the ensemble Elyma as a continuo player, and assistant to Gabriel Garrido. With his ensemble he participated in many tours, with mainly Latin American music. In 1999 he founded his own ensemble Capella Mediteranea that specializes in Spanish and Latin American baroque music. Capella Mediteranea has been invited in many festivals for old music. Since 1999 he attaches great importance to research in connection with the organ in 17th century Latin America, and in music at the 17th century Portuguese court. In doing so, under the auspices of the Gulbenkian Foundation, he discovered several operas of the unknown composer Davis Perez. Now he is accompanist at the Conservatory of Geneva. After a concours in June 2000, he obtained the post of organ player in the Temple Anires-Vesenaz of Geneva.